We recommend that you allow for at least four weeks for Ross to receive your GMAT or GRE scores from the testing agency. Ross' GRE reporting code is 1839. 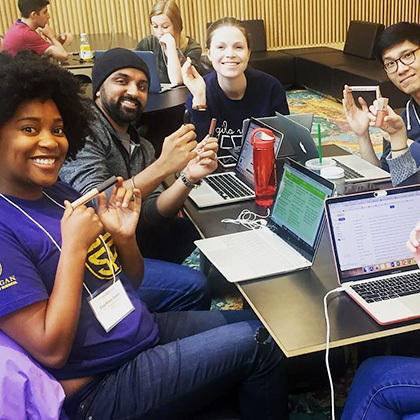 If you are uncertain as to whether we will receive your official scores by the deadline, you can self-report your scores on your application or email us a copy of your unofficial score report at RossAdmissions@umich.edu. Are there instances in which I wouldn't be required to take the TOEFL or PTE? Can I reapply to the MBA Program if I wasn't previously accepted? Yes. You can apply to the next available admitting term. Reapplication procedures are streamlined if you reapply within one application cycle of your originally submitted application. If you reapply after that time, you must submit a completely new application and supporting documents. Please visit our application requirements page for procedures and tips on reapplying. What is the minimum GMAT/GRE required for admission to the Full-time MBA program? There is no minimum score requirement for either exam. See the Full-time MBA class profile to find the average and 80th percentile GMAT range for recent Ross students. Because our acceptance of the GRE is relatively new, we do not yet publish an average GRE score. Your standardized test score is only one of a number of criteria we review in determining admission. We encourage you to apply to our program regardless of the level of your score performance. However, if you feel your score has room for improvement, you may want to consider retaking the exam. How do I check my Michigan residency status? Contact the Residency office at 734-764-1400. Residency information also is available online at www.umich.edu/~regoff/resreg.html. My friend received a call informing her that she had been accepted. I haven't received a call. Does that mean I wasn't accepted? No, this does not automatically mean that you have not been accepted. When possible, the Admissions Committee will try to call or email admitted applicants to inform them of the decision, but we cannot guarantee that all applicants will be contacted. You will be able to view your decision online beginning at 12:00 PM EST on the notification date that corresponds with the round in which you applied. Unfortunately, requests for admissions decisions before our decision notification dates will not be granted. I was not accepted to the MBA Program. Can I appeal? Unfortunately, there is no appeals process for denied applicants. Denied applicants are encouraged to re-apply for a subsequent admissions cycle. Deferral requests are considered on a case-by-case basis and are rarely granted. Requests to defer admission should be submitted in writing to RossAdmissions@umich.edu. A detailed explanation of the request and appropriate documentation are required. What if I have to step out of the program for a year? The University requires that students stay actively registered. Should you not register for a course within any 12-month time frame, you would have to go through a reapplication process, including paying the application fee. 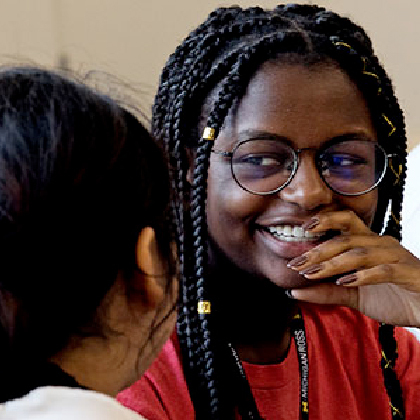 In rare instances where a student has stepped out because of engagement with a program that is in direct support of the school's mission, this fee may be waived. For Evening students, whose work assignments may necessitate breaks in enrollment, it is critical to pay attention to this university requirement. How can I contact the Office of Admissions? Can I make an appointment to talk with someone in the Office of Admissions? Can I schedule an appointment with a professor? The Office of Admissions does not schedule appointments with professors or instructors. Please contact the appropriate faculty department. How many credits can a student take outside of the MBA Program? 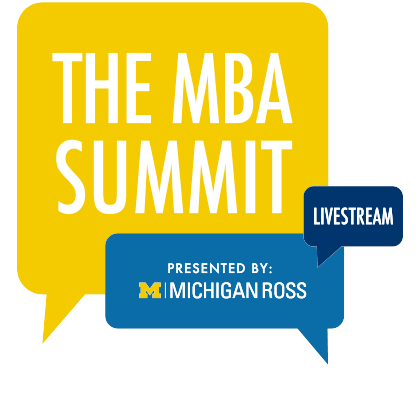 Up to 10 of the required 57 credits in the Ross Full-Time MBA Program may be taken through other graduate programs at the Ann Arbor campus. Should I apply using The Consortium application? The Consortium application option is intended for U.S. citizens and permanent residents who have demonstrated support of The Consortium's mission of promoting underrepresented minorities in business education and in the ranks of management. If this applies to you, the Consortium application is a good option. Can I apply to the Ross MBA Program as a college senior? Does Ross admit students straight out of undergrad? You must hold the equivalent of a U.S. bachelor's degree and have 12 months full time work experience at the time of your application. Recent graduates are eligible to apply, but applicants with less than 2 years of work experience are very rarely admitted. 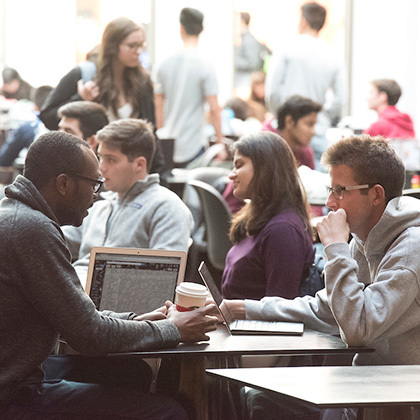 We do not require a specific number of years of work experience prior to entering the Ross MBA program, but almost all incoming Ross students have worked for at least 2 years. The average Ross student enters the MBA program with 5 years of work experience. That said, we evaluate work experience not in terms of quantity, but in terms of quality. 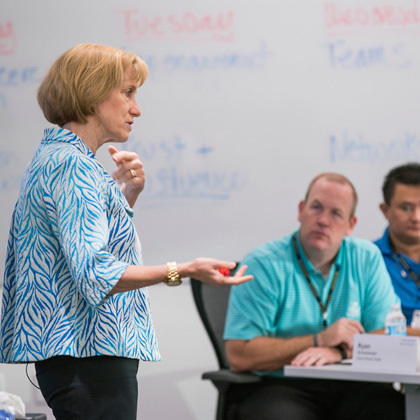 We examine the impact you have had on your organization and the leadership qualities you have demonstrated. We consider the range of stories and experiences you will be able to share with our classmates. If you have limited work experience, you should demonstrate on your application why it is the right time to pursue an MBA, and what you will be able to contribute to the Ross community.